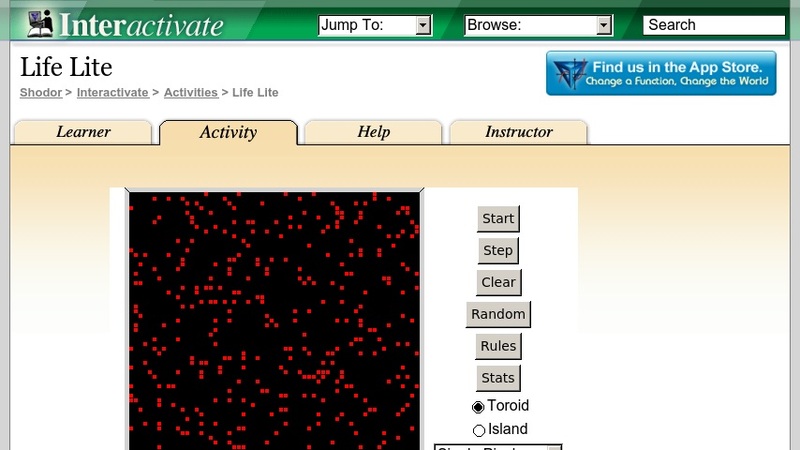 Run the classic game of life, learning about probabilities, chaos and simulation. This activity allows the user to run a randomly generated world or test out various patterns. This is a simple activity which runs directly in the Interactivate window.